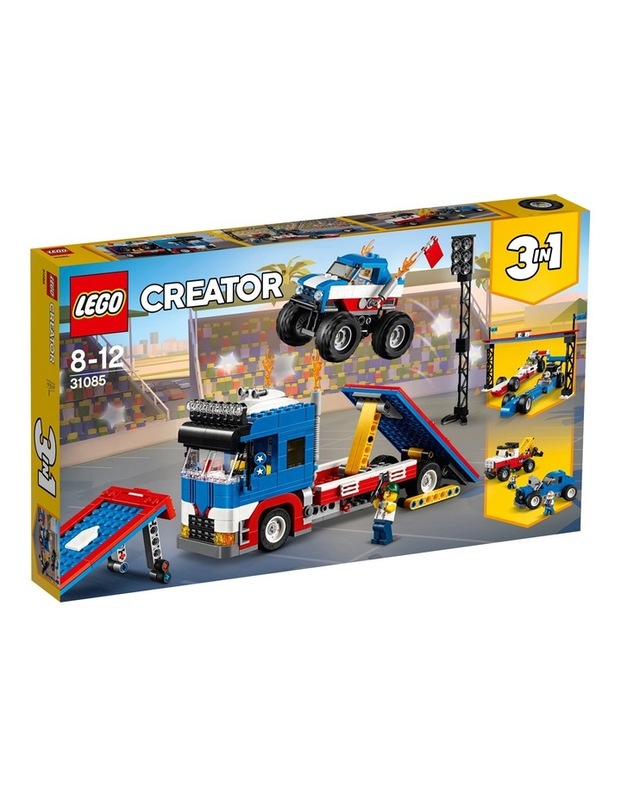 Creator Mobile Stunt Show. 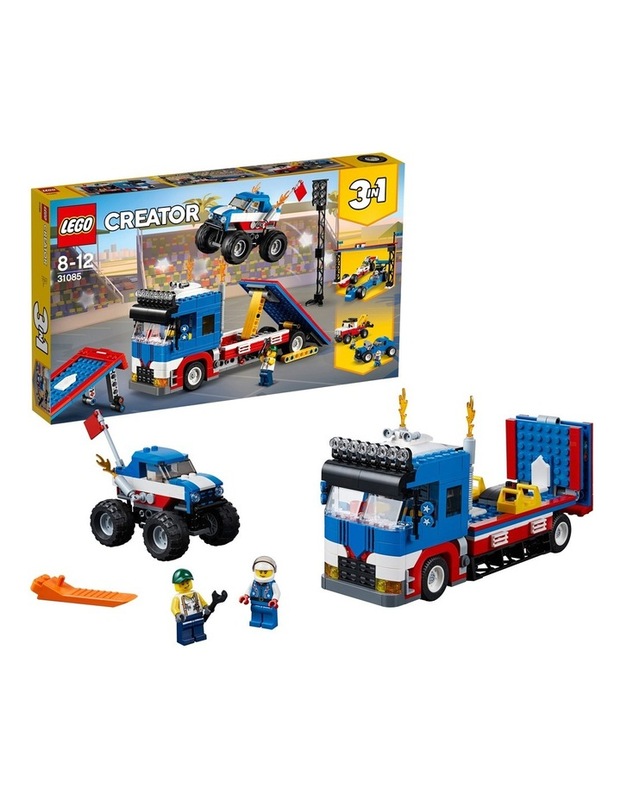 Jump aboard the cool transporter and head for the city with the amazing LEGO Creator 3in1 Mobile Stunt Show! Unload the monster truck, set up the floodlights and fold out the launch and landing ramps. Then use the chocks to lock the transporter wheels and prepare to thrill the crowd! Power up the awesome monster truck, hit the ramp at maximum speed and fly through the air to make a perfect landing! Then rebuild to continue the show with a powerful Hot Rod Pickup or 2 superfast stunt Dragster Racers. 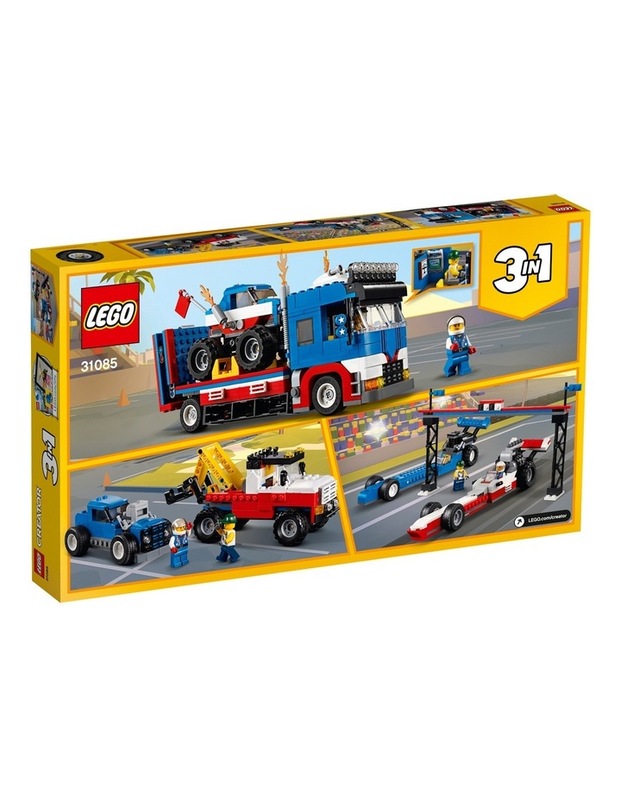 31085.